Can we just recap on this truly Irish moment from the Rose Of Tralee last night? Ah, the Rose Of Tralee. The contest that blows up Twitter and packs us with two nights of solid Irish telly. And last night, as the first leg of the competition got underway and we met half the Roses, it's safe to say there were a lot of moments that made us cringe, laugh and cry. One moment in particular that had the internet rubbing their eyes wondering "am I seeing things, please say yes?" 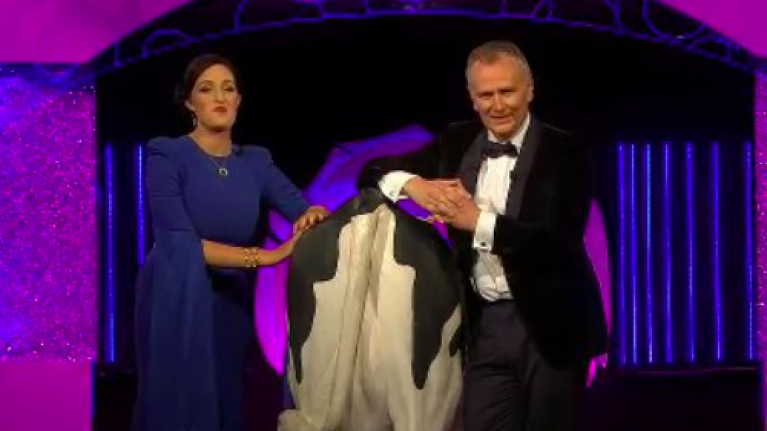 Was thanks to the Laois Rose and her talent which involved milking a fake cow on stage with the help of MC, Daithí O' Sé. Yep, this was literally prime viewing last night. Milking a fake cow live on tv. We have reached peak #RoseOfTralee lads. But the Laois Rose wasn't the only one to turn heads last night, the Westmeath Rose also had quite the original talent which you can check out here.